So, without further ado, let’s get to our suggestions. 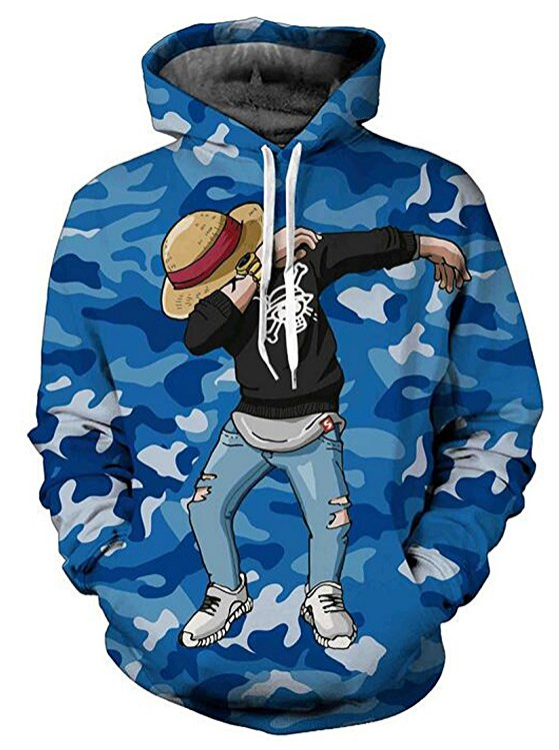 This one is a blue long sleeve sweatshirt featuring Luffy doing the well-known Dab dance. Be sure to check their dimensions chart, since the sizes are the Asian ones. It features a nice belly pocket(I love those ones) and it’s suitable for many different occasions. 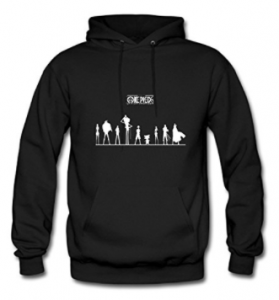 Note that it only has 10% polyester(that’s really high-quality if you know about hoodies)! Pullover really does a great job. 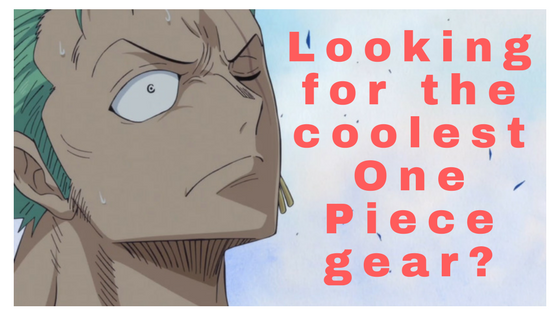 Do you love the captain and vice-captain of the Straw Hats? Or would you prefer a picture of the whole crew? 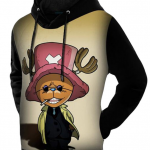 Maybe Chopper with cool shades? 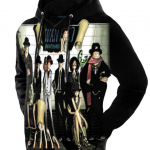 Or the mafia version of the Straw Hat crew? Would Luffy or Ace alone be a better option? Luffy into Gear Second anyone? 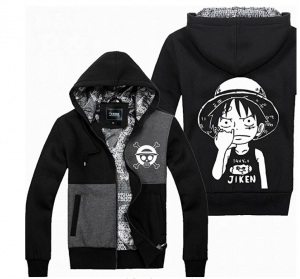 Well, everything is possible with this black hoodie from Pullover. Be sure to check the size charts carefully here as well. And of course, go wild with the many different choices you can pick from. Check all of them below. Click on the image you prefer to check the price on Amazon! 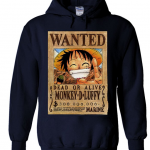 Love our cute little Luffy and want to showcase him on your back? 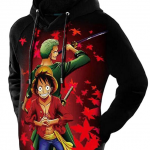 Well, this hoodie has got Luffy charmingly picking his nose :P.
At its front, you can find the logo of the Straw Hat pirates in white. It is black with grey and white details. Beware that the sizes here are also Asian. It is a really stylish one in my opinion that could easily be incorporated into an everyday look. 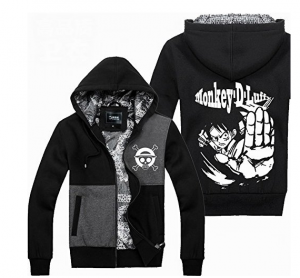 Made from cotton fabric, this hoodie from UU-Style is hard to beat. Note that this jacket is quite thick, so don’t expect a low-quality one by no means. 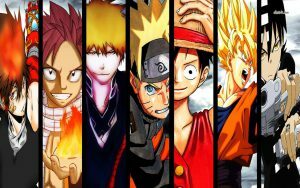 Do you prefer the older and more badass version of Luffy? 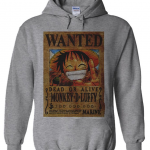 Well, this one is a nice variation, with the back picture being Luffy in an attacking position. 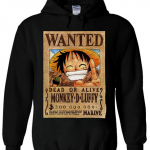 Be sure to check it out for a stylish alternative to a black Luffy hoodie. Not much to say here as this is practically the same hoodie from UU-Style. The only difference here is the logo of the Whitebeard Pirates at its front and back. So, if you are a Shirohige fanboy, look no further. 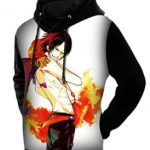 This hoodie is the perfect fit for you. 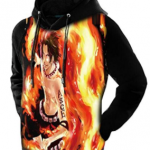 If you are a fan of Portgas D Ace then, by all means, be sure to check out this variation, that features Ace on the back of the jacket. 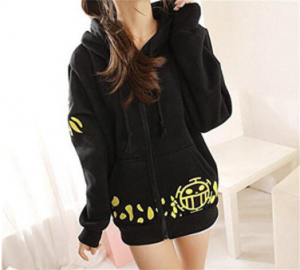 Like the hoodie but still not satisfied? Well, don’t fret at all. 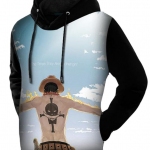 If you love the whole Straw Hat Crew you can certainly pick this variation, that features the Straw Hat Crew on its back, in a black and white fashion. 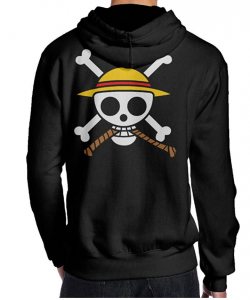 For the Straw Hat crew lovers, be sure to check out this hoodie, that showcases the logo of the crew on its back. It’s made 100% from cotton(!) and comes with the hood comes with a handy drawcord. Do you prefer the Jolly Roger on the front? We’ve got you covered once again! A unisex piece of a hoodie made from 100% cotton once again! Pick your favorite color from the options below! 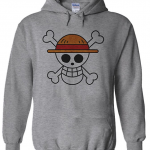 For a black alternative to a Straw Hat Crew hoodie, you could always go with the following choice. Just note that it is 50% cotton – 50% polyester. 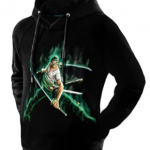 If you love our favorite pirate hunter Zoro, then these hoodies are for you. 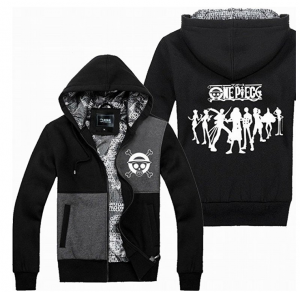 Not much to say here, since we have the same hoodie as before but with different designs. Be sure to pick the one you like by clicking on one of the images below. 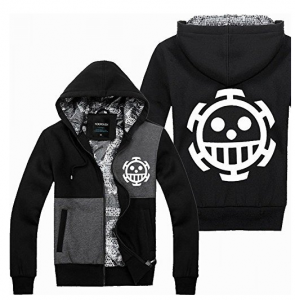 For the Trafalgar Law fans out there comes this Heart Pirates jacket. 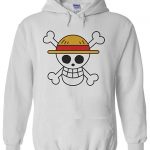 With the symbol of our favorite Heart Pirates(at least mine :P) and the quality that we have already talked about, be sure to be astonished by this piece of a hoodie! 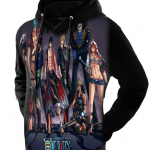 As an excellent alternative comes a hoodie that I personally own. 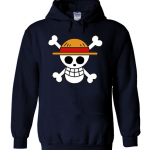 It’s a yellow one that is more of a fitting color for the Heart Pirates. 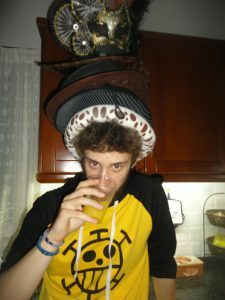 An excellent choice for a cosplay(I have personally cosplayed Law during my town’s carnival, embarrassing photo incoming :P). 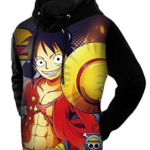 Note that this hoodie is quite thin and certainly not the best choice for the winter. 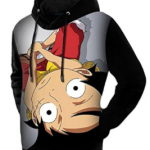 I would personally wear it during the spring or fall, and maybe under a coat during the winter. That, however, defeats the purpose of the cosplay, if you are doing one. Another viable alternative for the Heart Pirates’ fans is this long jacket- hoodie. I especially like it worn by girls, but it can be certainly viable for guys as well. Girls could also wear it as a type of dress even. Loved our wanted poster review? 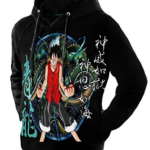 Then this hoodie is the one that will suit you more than anything. 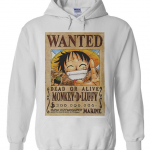 It comes in four different colors and features a quality print of Luffy’s wanted poster. A 100% cotton piece that is surely worth its price. Let’s end this one with another beautiful choice from Pullover with a customizable background image. There are 9 beautiful choices to pick from, all with excellent colors! 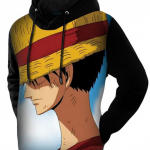 Which One Piece Anime Hoodie to Choose? I hope I provided some beautiful designs for you to choose from. 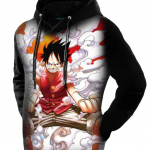 Be sure to pick your favorite and dress with your favorite otaku style! Question of the Day: Which is your favorite design from the ones I suggested? Tell me in the comments section below. This is really cool. My son completely loves Anime and watches it all the time. Whether he is streaming it on the computer or he’s watching it on TV. 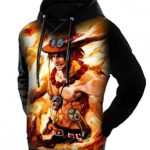 I have been looking around in local stores for Anime gear for him, but I just can’t seem to find any good ones or ones that fit his size. I am glad I came across this site because this is exactly what i’m looking for and they have it’s size. Thank you Garrett. Be sure to point him over to our anime recommendations page! Cheers! I came across your site and it caught my eye instantly. 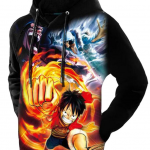 I love anime and your sweaters are awesome. Your selection is great and the vid. 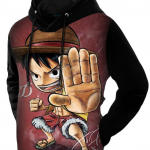 I would definitely get the badass luffy hoodie the new style lol. As for the anime it would take me more time to decide, but they’re all awesome and great gifts, I’ll be saving your page buddy. 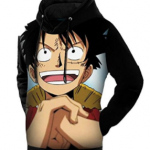 What is your favorite anime sweater? Hello Jeremy and glad you loved the choices! 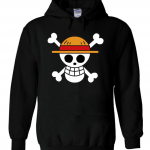 My favorite sweater I believe is the little luffy hoodie! 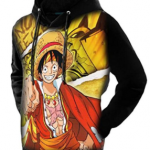 Previous Previous post: Silvers Rayleigh One Piece – Why is he called the Dark King? Next Next post: One Piece Shanks vs Kaido – Did They Fight Before Marineford?